View before chair is covered. 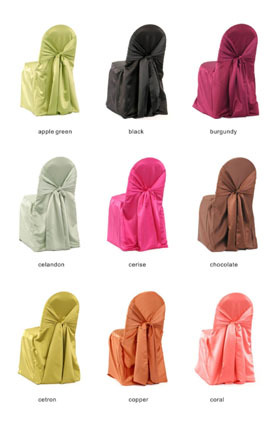 This cover coordinates with all other chairs the banquet chair cover does not. It is made of lycra for elasticity on extra wide chairs. Laundering included in price. Available in white and ivory. Starting at $2 each. Our most requested design. Simple, elegant and consistent with table linens. 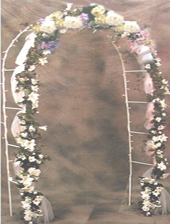 This cover coordinates with most round or square top banquet chairs. Made of 100% Polyester. Laundering included in price. Available in black, white and ivory. Starting at $2 each. A view before slip cover is applied. The design is short and wide in comparison to the banquet chair. Also made of Lycra which improves the risk of wrinkling. Laundering incl. in price. Available in white and ivory. Starting at $2 each. 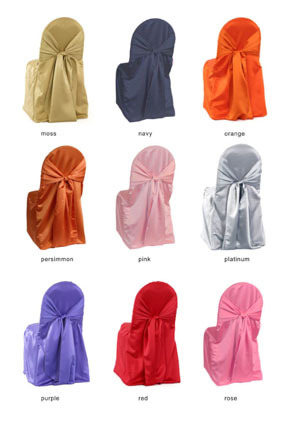 Available in a variety of colors, satin sashes coordinate with your color scheme providing a wonderful impact of color while organza sashes a subtle soft sparkling of color. See sashes for available colors. Great for table candle centerpieces. Great for a creative floating or floral centerpiece. 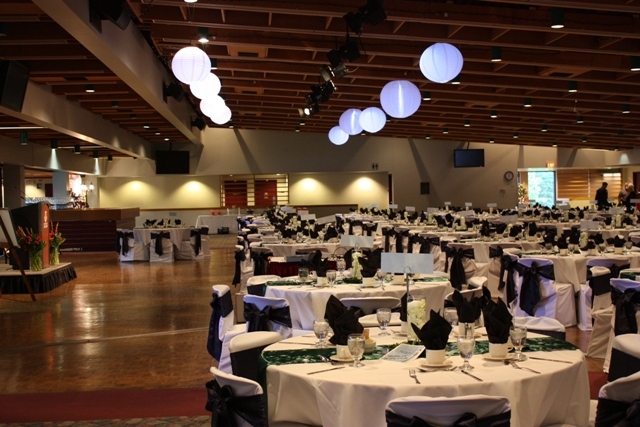 Price is dependant upon size of venue & includes set-up, take-down & delivery. Great for cake table or weather protection. Great for receiving lines & cake table. *Florals not included. We are open to placing a special order for your event. Special orders are made when trying to achieve something uniquely elegant.